As fall arrives and, with it, cooler Florida temperatures, people who enjoy landscaping and gardening spend more time outside . . . which means greater opportunity for rubbing shoulders with myriad outdoor inhabitants, including the not-so-friendly. In this blog we give a brief rundown of the critters that you should watch out for and avoid. Their bites cause pain, disease, or, in extreme cases, death. Ticks are most often found in areas with trees or long grass. They carry Lyme disease, Rocky Mountain Spotted Fever, ehrlichiosis, and Southern Tick-Associated Rash Illness (STARI). Four species of Florida ticks carry these diseases and transmit them to people. They are the American Dog tick, the Lone Star tick, Gulf Coast tick, and Black-Legged (or Deer) tick. The latter tick is active during the cooler months—when people are out working on their properties. Watch out for the Black-Legged tick as it carries Lyme disease, babesiosis, and anaplasmosis. 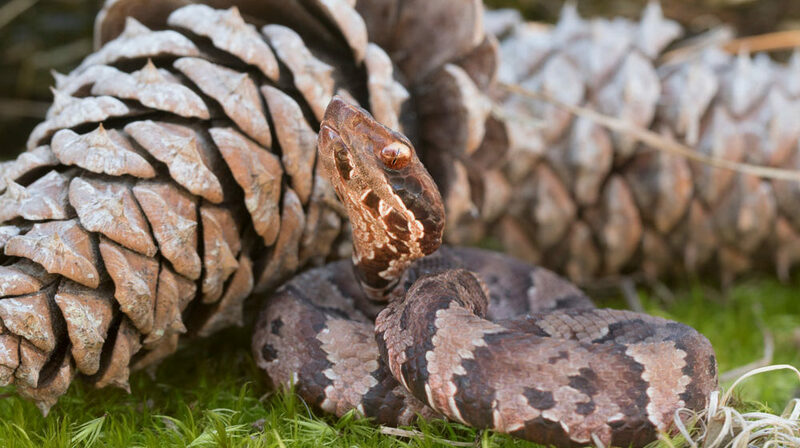 Florida’s six most dangerous snakes are the Eastern Coral snake, Southern Copperhead, Cottonmouth (Water Moccasin), Timber Rattlesnake, Dusky Pygmy Rattlesnake, and Eastern Diamondback. Florida’s two species of venomous spiders are the widow and the recluse. The southern black widow has the classic round, black body and red hourglass mark on its underbelly. The other widows (northern black, red, and brown) have variations of these colorings and marks. The recluse species includes the brown, Mediterranean, and Chilean. The brown recluse is very small—1/4” to ½” long, with a violin-shaped marking. Widow bites result in pain and muscle cramps in shoulders, thighs, and back. A person may also experience nausea, sweating, and difficulty breathing. Recluse bites result in open sores and sometimes in skin that looks eaten away. If a tick is biting you, remove it immediately. Pay attention to how you feel over the next two weeks. If you don’t feel well, see a doctor. Tick-borne diseases can take a week or two to show up. If you’ve been bitten by a widow or a recluse, get medical attention immediately. If possible, put the spider in a bag or container to show your healthcare provider. The availability of antivenins means that death is rare if a person bitten by a snake seeks medical treatment quickly. Call 911 and remove jewelry or tight clothes in case the site swells. Wait calmly for help. To repel ticks, apply a product to skin and clothes that contains 20-30% DEET. Trim grass, shrubs and trees that are close to homes and buildings. Know where spiders hide and watch for them when working around those areas. Don’t reach bare-handed into dark recesses or under rocks or boards. Watch out when picking up planters, bags of mulch, etc. As with ticks and spiders, be on the alert for snakes. Wear long pants, boots, and gloves and be careful when walking or reaching into places you can’t see.